Lemax Rainy Day With Friends multi-figurine miniature on a single park bench depicts a group of children sitting under an umbrella with their pet dogs. 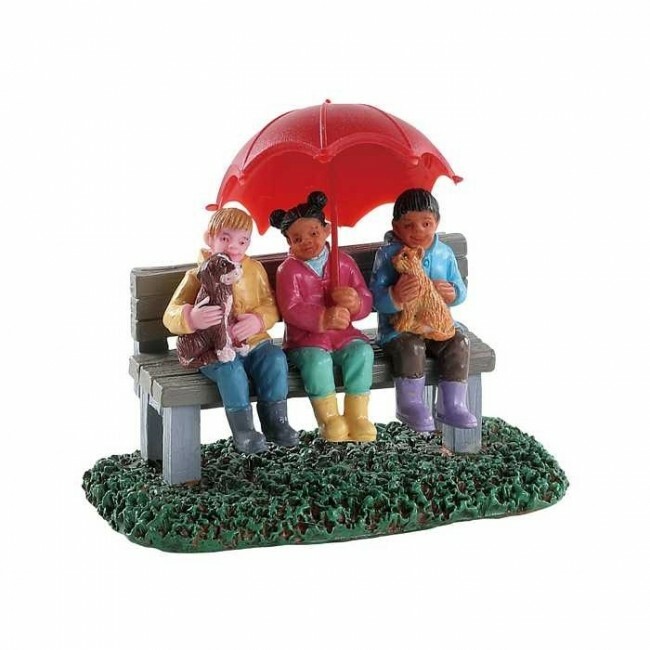 Rainy Day With Friends is a delightful Lemax village miniature piece on a grass effect base, suited for placement in a Lemax display. A recent addition to the Lemax Village catalogue joining the collection in 2018.